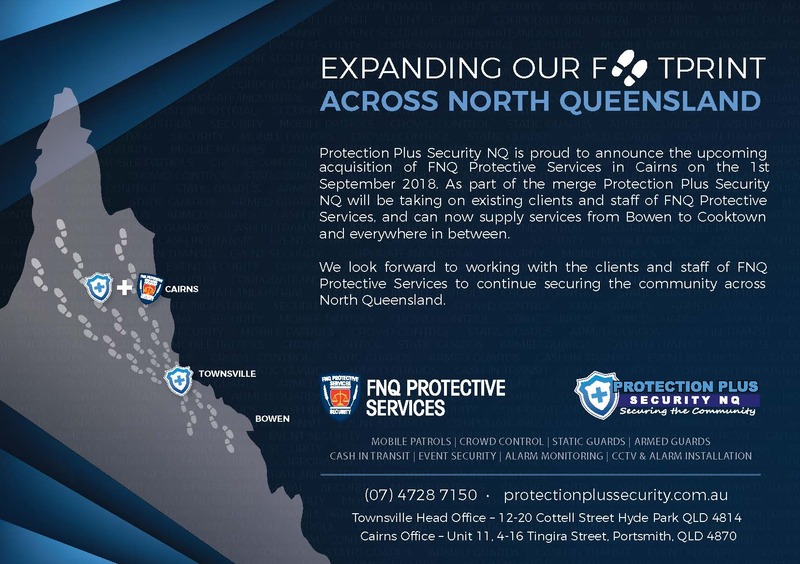 Protection Plus Security NQ is a totally locally owned and operated company. Offering a vast range of security services throughout North Queensland With Branches in Cairns & Townsville. A professional and reliable work ethic. Motivation and a ‘Can Do’ attitude. Strong punctuality, with the ability to be at the work site on time each shift. An ability to work autonomously and within a team environment. To be able to follow instructions given within briefs. Available to work a weekly rotating roster which may include on call, nights and weekend shifts. If you are interested in joining the Protection Plus Security NQ team and believe you meet the above criteria. Please Apply Here.